Hi are you the cowboy that makes the nice wooden gun carts that are small and come apart easy? I think some of the local guys have them like Missouri Traveler. If so how much are they? I prefer best of two runs. Check out Cowboy Carty, he does a great job on them. 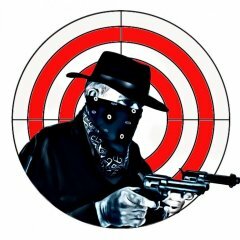 Outlaw Gambler I sent you a message. Sold pending funds! thanks everyone! Deal fell through back for sale. Oregonian They are yours! Thank you! For sale a pair of Ruger single six stainless 32 mag Fixed sight revolvers LNIB. $1800.00 plus shipping. I have 2000 mostly once fired yellow brass $50.00 plus shipping.